As part of a £940 million package for electric and hybrid vehicles, the government may offer incentives of up to Rs 2,50,000 to those scrapping old petrol or diesel-fired vehicles along with sops for investment to manufacture parts such as motors in the country. A draft policy formulated by the government has proposed that buyers of electric two-wheelers that cost up to Rs 1,50,000 will receive incentives of around Rs 30,000. There are more incentives for cab aggregators and bus fleet owners to go green. Buyers of electric cars, which will operate as taxis, are expected to get sops of Rs 1,50,000 to 2,50,000 for vehicles that cost up to Rs 15,00,000. Sources said the same sops will be available to individuals buying electric cars provided they scrap their pre-BS III vehicles and get a certificate from the approved scrapping centre. While sops for passenger vehicles and two-wheelers are expected to cost around £150 million over the next five years, around £100 million spending is planned to set up charging stations across the country. 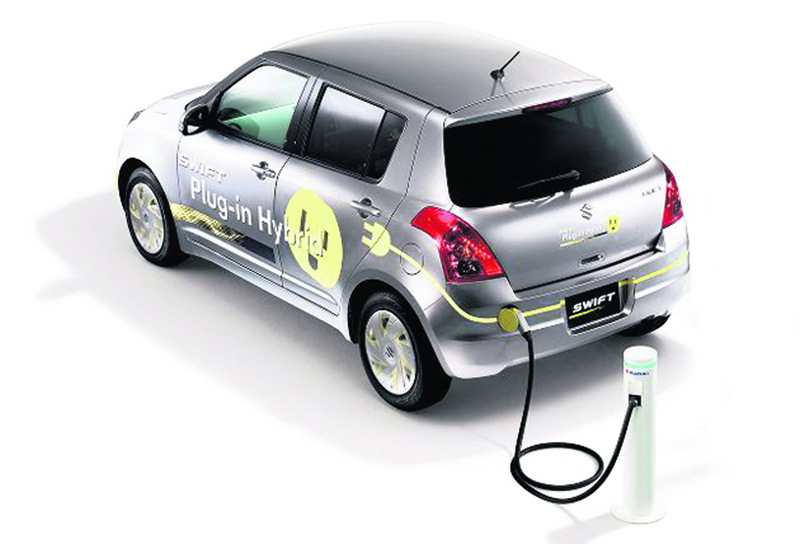 A proposal circulated by the department of heavy industries (DHI) stated that at least one charging point is planned every 9 sq km in all metros, million-plus cities, and identified smart cities while a charging station on both sides of the highway is planned every 25 km along the Delhi-Jaipur, Delhi-Chandigarh, Chennai-Bengaluru, and Mumbai-Pune stretches. One of the major focus areas of phase-II of Faster Adoption and Manufacturing of (Hybrid & Electric) Vehicles (FAME) will be on public and intermediary transport, which includes taxis and three-wheelers. The plan awaiting the government approval is expected to come as a major setback to the automobile industry, which wanted sops for all types of electric vehicles.